U.S. house prices rose 1.3 percent in the first quarter of 2016, according to the Federal Housing Finance Agency (FHFA) House Price Index (HPI). This is the nineteenth consecutive quarterly price increase in the purchase-only, seasonally adjusted index. House prices rose 5.7 percent from the first quarter of 2015 to the first quarter of 2016. This is the fourth consecutive year in which prices grew more than 5 percent. FHFA's seasonally adjusted monthly index for March was up 0.7 percent from February. Remodeling a home is a major undertaking, one few homeowners take lightly because of the time and expense it involves. While the end result can add value to the property, homeowners are rightly concerned with getting the job done as cost-effectively as possible. 1. 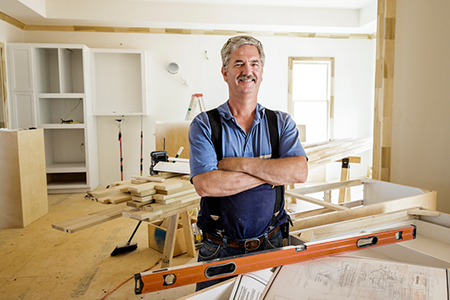 Choose a Licensed and Bonded Contractor – Not only are you more likely to get the professionalism you expect, but licensed and bonded contractors are also more likely to hold down costs and share any cost overruns that may occur. (Family Features)—Bathrooms may take up the least square footage in the home, but they have the most potential when remodeling—and for these rooms, function and design matter. 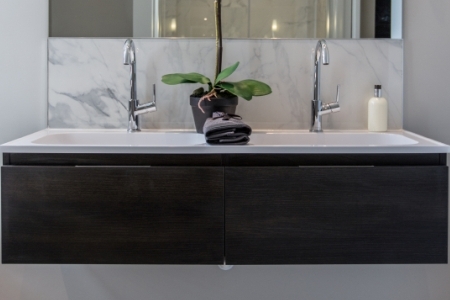 Floating Vanity – Tap into the minimalist movement with a floating vanity, which not only plays up the modern vibe, but also makes cramped bathrooms feel spacious. While the Federal Housing Administration’s overhaul of its Single-Family Housing Policy Handbook last year offered loan originators more clarity on lending policies and loan underwriting standards, some changes made to the property valuation policies are causing confusion and delays, according to speakers at a real property valuation forum at the 2016 REALTORS® Legislative Meetings & Trade Expo. All properties bought or refinanced with an FHA loan have to be appraised by a HUD-approved home appraiser. When purchasing a property with a conventional loan product, the appraiser focuses on determining the market value of the home; however, with an FHA-insured loan, the appraiser not only determines market value but also inspects the home to ensure it meets certain minimum property standards. Requiring appraisers to take on home inspection-type duties to ensure standards are met appears to blur the line between appraisals and home inspections and has raised questions among consumers, agents and appraisers.